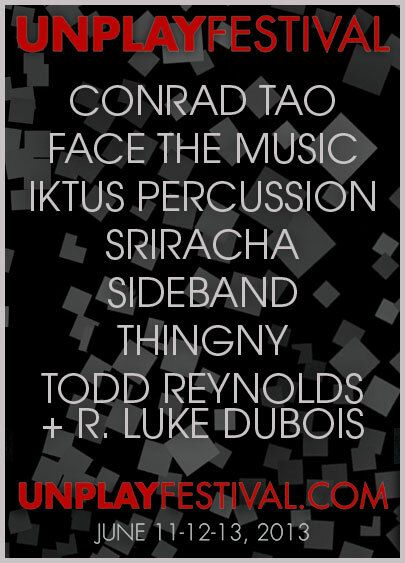 thingNY will perform as part of Detroit’s Sidewalk Festival on Saturday, Aug 3rd. Excited to be performing alongside some amazing artists! Join us for the 3rd installment of our development series Short Form! Join us for the first installment of the development series Short Form. UNPLAY Festival – A celebration and exploration of the musician’s “role” in the shifting spaces of our post-microblog/tweet/story era. Hi/r/stories is about directly engaging with history. If ePhemera and REPlayboth explore alternatives to specific narratives in “classical” music, Hi/r/storiesis centered around narrative itself. What stories get told in the canonical history? How can music articulate an alternative hi/r/story? And in our digital culture of sharing and re-sharing and adding commentary, how has the process of writing, re-writing, and understanding history changed?